Young people with disability living in nursing homes are one of the most marginalised and isolated groups of people in our society. More than half of them, 53%, receive a visit from a friend less than once a year. They generally lead impoverished lives, characterised by loneliness and boredom. These problems affect more than 6,200 people under the age of 65 who are stuck in nursing homes. Another 200 people under 50 are admitted to nursing homes each year. This is a serious social issue that can and must be fixed. People under 65 living in nursing homes are eligible for funding through the National Disability Insurance Scheme (NDIS). The NDIS will provide crucial funding for the support that these people need to live in the community. However, the NDIS cannot on its own stop the inappropriate placement of young people in nursing homes. More accessible and affordable housing needs to be built. Significant increases in the scale and range of housing for people with disability are urgently needed. For the past 20 years, the group home has been the dominant model, with people expected to live with five or more others. While this may work for some, it is not for everyone. Many young people in nursing homes acquire their disability as adults; some have partners or are parents. They want to live in their own homes. There are housing solutions to get young people out of nursing homes. The Summer Foundation builds housing demonstration projects with apartments designed for people with disability peppered throughout larger residential developments. There is on-site space for workers to provide 24-hour on-call support. The Summer Foundation uses smart home technology to support independent living for people with disabilities. Apartments incorporate two-way communications and smart-home technology. Via smartphone or tablet, residents can operate lighting, blinds, cooling and heating, external doors and doorbell functions, as well as contacting support staff when needed. Residents are able to maximise their independence and privacy while still having access to 24-hour on-call support. These projects aim to demonstrate that well-located, good-quality, accessible and adaptable housing, technology and support that foster independence result in increased quality of life and independence, and reduced lifetime care costs. You can read more about these projects in the Summer Foundation’s Design Insights report. The National Disability Insurance Agency (NDIA) has released a Specialist Disability Accommodation Position Paper on Draft Pricing and Payments. This is the NDIA’s strategy to increase the long-term supply of housing for NDIS participants. It aims to foster the development of innovative housing solutions. The policy outlined in this paper is designed to pay for the cost of housing for 28,000 NDIS participants with high support needs. The housing payment rates set by the NDIA cover the high costs of development and ongoing maintenance required by people with disability. 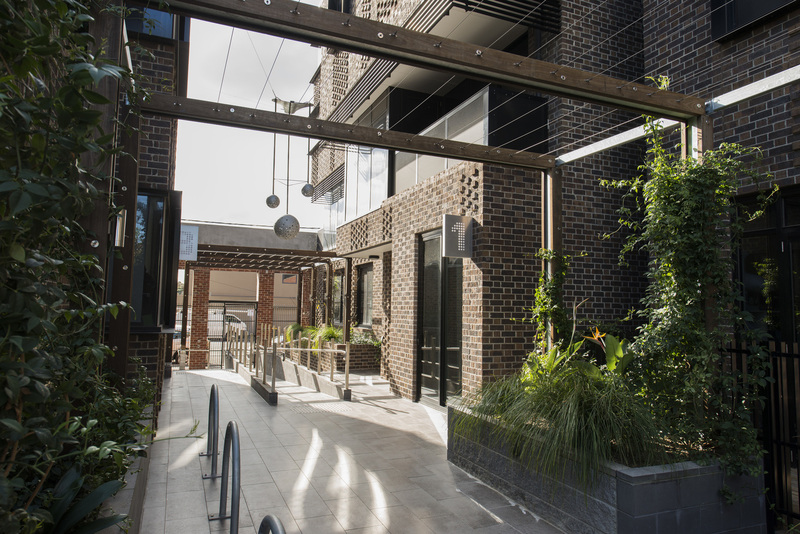 After decades of underinvestment, governments have made the funding available to replicate and scale a range of innovative housing and support options, such as the Summer Foundation apartments. One of the biggest challenges for the NDIA is balancing the critical need to give people with disability choice and control while giving investors as much certainty as possible. Without large-scale investment to dramatically increase the supply of accessible and affordable housing, NDIS participants will continue to have limited housing options and no choice because there will be no where to move to. The NDIA’s proposed approach of attaching funding to participants so they can take it with them to any house makes sense in terms of maximising choice, control and outcomes. However, withholding payments from housing providers if they can’t find a tenant (“vacancy risk”) creates uncertainty in the flow of income. This may affect housing providers’ ability to attract large-scale investment. Rather than the NDIA bearing the vacancy risk on new housing, the agency has adjusted the rate of return to reflect this risk. Given the unmet demand, housing providers bearing the vacancy risk is unlikely to be a barrier to financiers investing in new housing stock in major cities. This may not be the case in regional cities and towns due to higher uncertainty about occupancy. The NDIS may need a different approach to meeting the housing needs of NDIS participants outside major cities. Under the NDIA’s proposal, people with disability will have the basic tenancy rights that the rest of us take for granted. In the current system, a disability support provider typically owns a group home and provides the support. The NDIA is separating tenancy (bricks and mortar) from support, which means that people with disability will not have to move house if they want to change their disability support provider. This is very good news for people with disability. The NDIA hopes to facilitate the development of new housing for more than 12,000 people with disability in the next ten years. However, the housing payments are only for NDIS participants with the most significant levels of disability. That will still leave an estimated 35,000-55,000 NDIS participants with unmet housing needs. 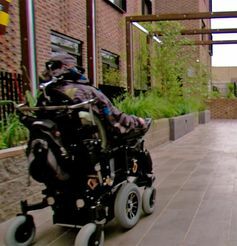 Getting the NDIS housing payment and policy right will provide a unique opportunity to trial some innovative, transformative financing models that could be used to fund social housing for other disadvantaged people, including a broader group of people with disability. Interest in social investment is growing in Australia, and the Summer Foundation is exploring models for social finance. However, there is a limited pipeline of projects and enterprises that are “investment-ready” and inherently scalable to make use of this capital. The federal government is providing leadership by developing an NDIS payments scheme that will enable new financial models to put this capital to good use. For people with disability who have the highest need for support and accessibility, the NDIS housing payment will bridge the gap between what people with disability can reasonably afford and the cost of building highly accessible housing. This policy lays the foundation for developing the range and scale of housing needed to resolve the issue of young people in nursing homes in Australia. The next step is for investors and the housing sector to come together and create the revolution in housing that young people in nursing homes have been waiting for.